Make your money travel further in Canada. Read our helpful top 10 travel hacks for travelling in Canada. Read our top 10 travel hacks to cheaply navigate your way around Canada. A must have read for everyone - not just backpackers! Canada is a fantastic country - vast, culturally diverse, full of friendly people and remarkable landscapes. But, it is not the cheapest place to travel on a budget. Read our top 10 tips to experience all Canada offers, without having to remortgage your house. If you're planning a trip and not planning to wing it day by day, use sites such as LivingSocial.com or Groupon. These offer fantastic deals for just about anything you can imagine. Perfect for discounted experiences, food and places to visit. Utilise sites such as Kangaride. This brilliant site is for those happy to lift share. Simply upload details of where you are heading and how many spare seats you have or find a driver that's heading where you want to go. They have a 3-pronged safety point to ensure both the passenger and driver's safety. Social, affordable and a green way to travel. 3. Pump up the gas! 4. Be chilled - slow down! 5. The wheels on the bus go round and round! 6. Clicketty clack - keep your train prices on track! If the thought of buses and coaches fills you with horror, there’s always train travel. Travelling by train in Canada can be expensive, however with a little research there are plenty of economy trains which will allow you to enjoy a faster form of transportation and still enjoy the views. For example, from as little as C$25 the Quebec to Windsor Corridor is a viable option, and companies such as Via Rail offer the CanRailPass. Amtrack also offer great packages and prices. Well worth a look. 7. Pretty fly for a travel guy! 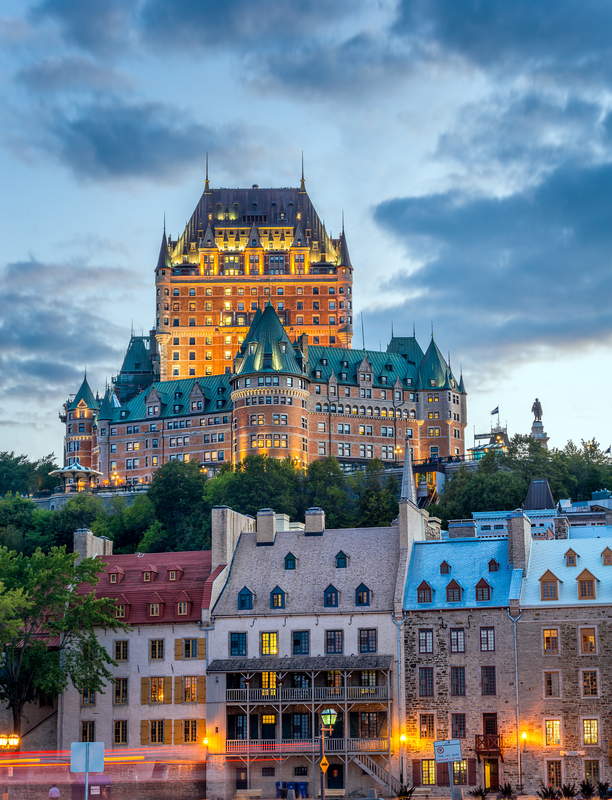 Internal flights can be a great solution for travelling from one side of Canada to the other, and in some instances, can be the cheapest form of travel. There are a few tricks to buying tickets as economically as possible. Keep checking flight prices - they go up and down like stocks. Check at least a couple of times a day and don't forget to clear your cookies. Your search engine may well return pre-viewed prices than the cheaper new ones. Airlines often lower their prices midweek, so remember to check on a Tuesday evening or Wednesday morning. 8. Board and pass sorted! Eating out in Canada can be expensive if you're not careful. Remember, menu prices do not reflect actual prices as VAT has not been added. You will also be expected to tip, in fairness this is how waiting staff make the majority of their wages and the service is usually excellent. Expect to tip within the region of 15%-20% in a restaurant and about C$1 per ordered drink. Self-catering is probably the best way to eat economically as the food in supermarkets is not taxed. Learn to be organised and make up a packed lunch or picnic! Also, look at voucher sites such as Groupon, eateries will always advertise discounts and vouchers on this site - an easy and cheap way to fill up! 10. Sweet dreams are made of these! 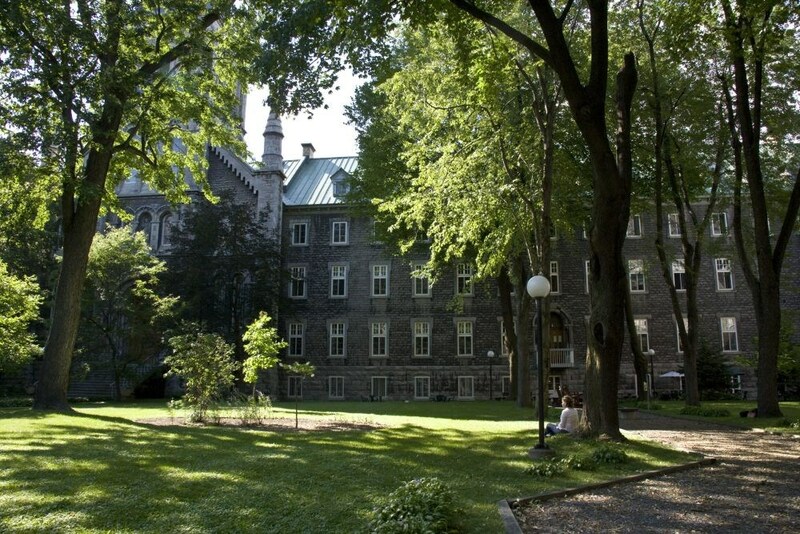 Accommodation varies greatly across any city in Canada. There is a lot of advice on the web and many travel sites with starred ratings which will help you choose. 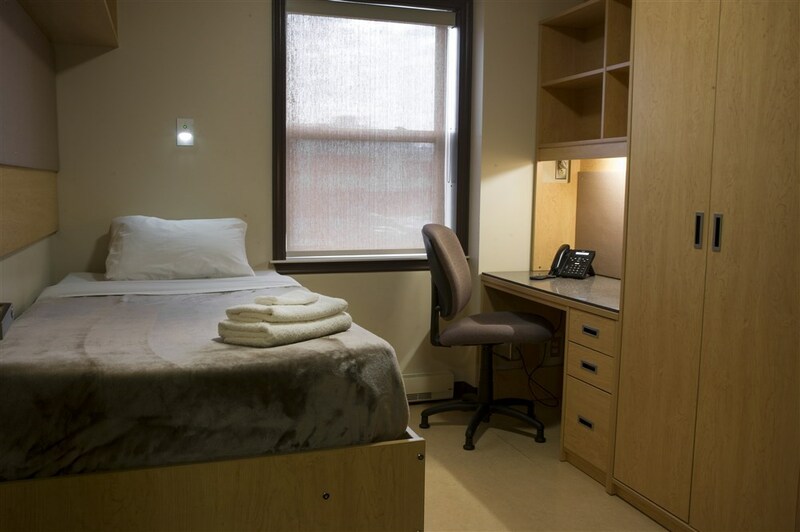 We also recommend checking out www.universityrooms.com for cheap, safe and clean accommodation solutions. 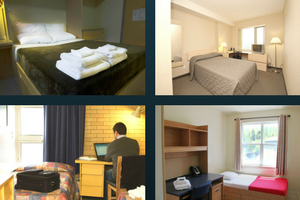 The university rooms are often in city central locations and can work out as a far cheaper and more fun way of staying in a new place. With rooms in Corner Brook, NL, Edmonton, Kamloops, Kitchener-Waterloo, Montreal, Nanaimo, Ontario, Quebec and St Johns a large area of Canada can be explored very economically and safely. These are also great spaces if you are on a work trip and need city central accommodation to keep you close to the action.